This year’s annual TechCollect Young E-waste Hero competition calls for primary and secondary students across Australia to help spread the e-waste recycling message to the nation. 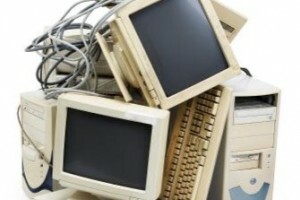 In Australia, e-waste continues to be a rapidly growing stream. As our hunger for new electronic devices continues to grow, we need to ensure young Australians are aware of the importance of responsibly recycling old electronic devices and that the practice becomes second nature in every household. TechCollect truly believes every young Australian has a role to play in making a difference to our environment. Recycling e-waste ensures our old and unused devices don’t end up in landfill, which can have a devastating effect on the environment and deny us the opportunity to reuse those valuable resources in new products. Every year TechCollect encourages students to get involved in its Young E-waste Hero competition, because the youngest generation of Australians holds the key to a sustainable future. This competition is a great opportunity for all young Aussies to have their voice heard and help spread the e-waste recycling message. To enter the competition, go to the TechCollect Facebook page. Best of luck! You can find out more about how TechCollect responsible recycles e-waste here.